BlackBerry founder and ex-CEO Lazaridis lining-up bid to save the company? Mike Lazaridis, the BlackBerry co-founder and former chief executive, is reportedly seeking to take control of the rapidly disintegrating mobile company. Lazaridis and Jim Balsillie stepped down as co-CEOs in the May 2012 after overseeing the firm's dramatic fall from grace as iOS and Android moved to dominate the mobile market. Now, according to a report in the New York Times this weekend, Lazaridis who still owns 5.7 per cent of the company, has approached private equity firms about a possible buyout. According to people 'familiar with the matter' the former boss has approached the Blackstone Group and the Carlyle Group over a potential takeover. 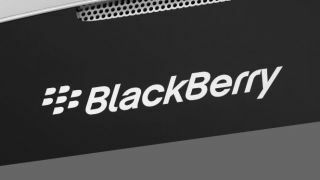 BlackBerry has been officially up for sale for the last month, with the company admitting it is actively encouraging offers. Just this Friday the company was plunged further into crisis when it announced it would be retreating from the consumer market and shedding 4,500 jobs. Could the man who, some would say, perhaps fell asleep at the wheel during the most crucial period in BlackBerry's history, really be the person to save it?